In the aftermath of the Moore, Oklahoma, tornado, I was at ground zero capturing both the heartbreaking destruction and devastation as well as the heartwarming recovery efforts in the community. In my time working with SKY News, and interacting with the local community, I snapped hundreds of frames. Here is a compilation of 11 wacky, funny, and random photos from my time in and around Moore. They are in chronological order, and I found them all on my memory card. Hopefully this can provide people with a good laugh to combat this disaster! My mother had just seen the tornado warning for the Tulsa area on the news and began to clean out our shelter area. Here you can see, from left to right, myself, my sister, and her friend. We are properly prepared, with proper head protection, our trusty emergency radio, snacks, and tools for digging out of any potential rubble and debris created by the tornado. I risked life and limb to write my early articles for PolicyMic and TheNolanK.com. Well, not really. 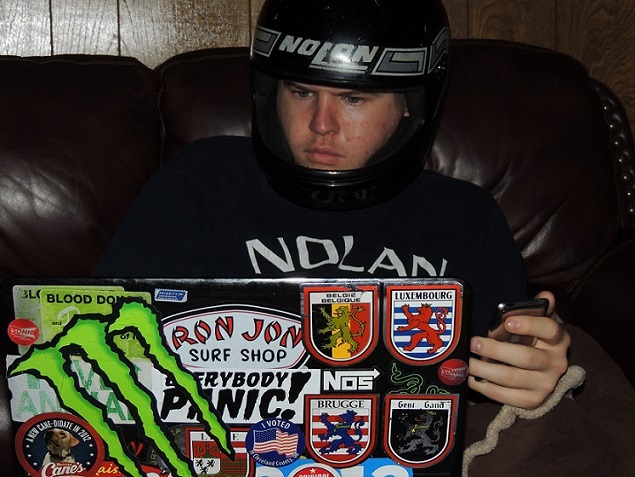 As soon as the major threat for the Tulsa area subsided, I ran to my laptop and then began to write my articles for PolicyMic and TheNolanK.com. I did however remain in proper safety gear the entire time to keep myself in the disaster mentality. 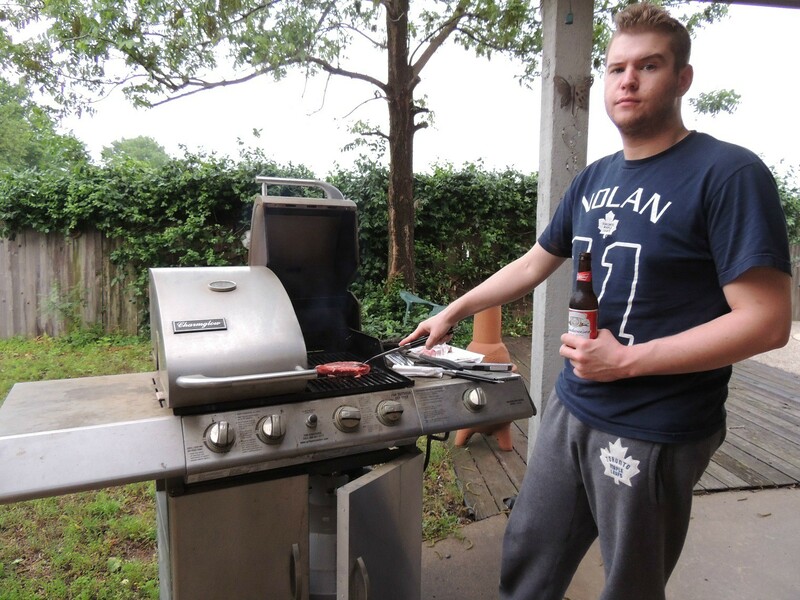 After I wrote my articles for PolicyMic and TheNolanK.com, I began to grill my rib eye steak that I had been fantasizing about for the past few hours. The Tulsa area was downgraded from a 'tornado warning' to a 'tornado watch' so I was able to shed my safety gear. During my first day at ground zero in Moore, I took this picture of an engine. There were no cars in the immediate area and this was located in an empty lot. The nearest car was down the street by about 30 yards. This would have definitely been a deadly projectile during the tornado. 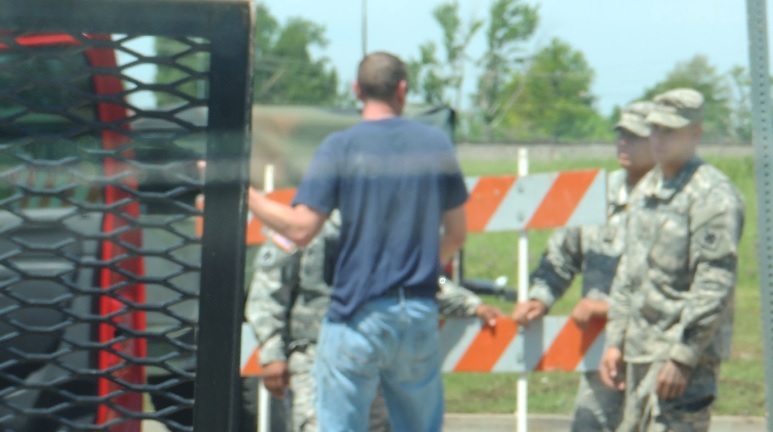 On the first day of the recovery, the Oklahoma National Guard was called in to regulate and enforce the emergency policies. They did an absolutely amazing job and the soldiers I interacted with could not have been nicer. At this road block, the driver in front of me was mad that he could not go down the road that was closed for repairs. After he was told "no" he exited his truck and began to remove the road block himself. Guardsmen swarmed in and attempted to diffuse the situation. After a heated exchange, the man decided to leave and peeled out in the process. I was able to grab a short clip of the exchange, but the quality of the video is a bit poor. I was able to score my SKY News team an exclusive interview and look inside the Wayland Bonds Elementary School. We then retreated across the street to setup camp in a church parking lot when the kids began to arrive. Well, the news crew in this photo was not my news crew. 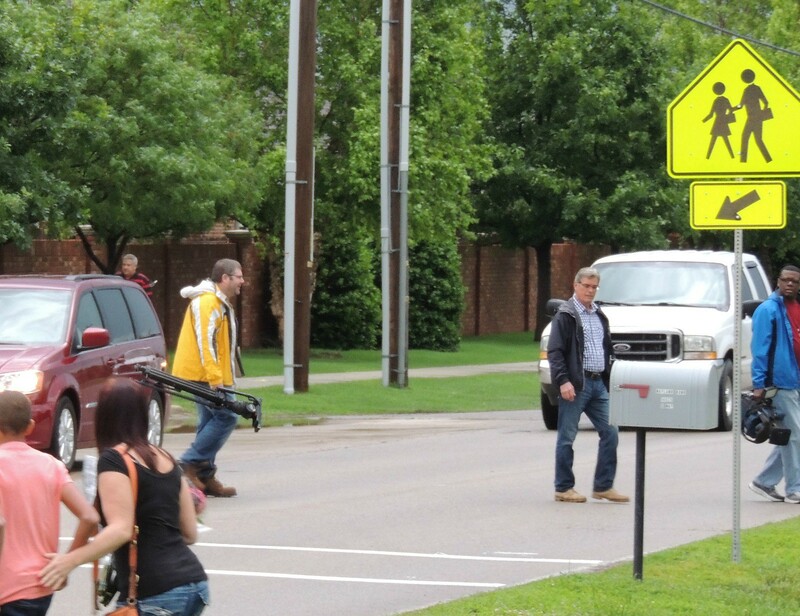 So when they proceeded to cross the street to set up their shot on school property, they were quickly rejected. After they resisted the initial orders from the police officer on duty and back-up was called over to assist in their removal, I snapped this Abbey Road-esque photo of them sauntering back to the church parking lot. The location that we were setup at in the church parking lot was at the edge of the property line. 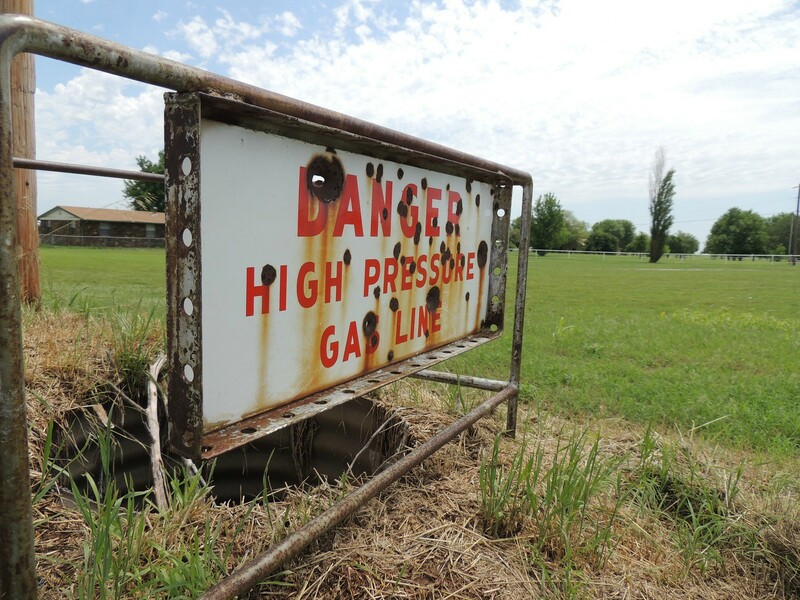 Directly behind us was this sign that warned of a dangerous high pressure gas line. The rust indicated that the damage was not anything recent. The wacky part is that the damage looks to be a result of a mixture of ammunition, such as .45, 9mm, and buck shot. Just a side effect of life in the South I suppose. Floppy discs, as our generation knows them in their 3.5" incarnation, are a product of a bygone technological era. So when I saw this 5" floppy in a pool of water just yards away from the tornado's path I knew I had to take a picture. Something like this seems like it would be in the debris of a tornado from the 1980's not the 2010's. My Sky News producer decided that we should pursue a storm shelter angle in our coverage. On our way to their shop we came across downed and mangled power lines. We pulled over so Jake could get some footage and I snapped a few stills as well. The tornado's energy transformed the electrical infrastructure into something that belongs in a gallery of modern art. 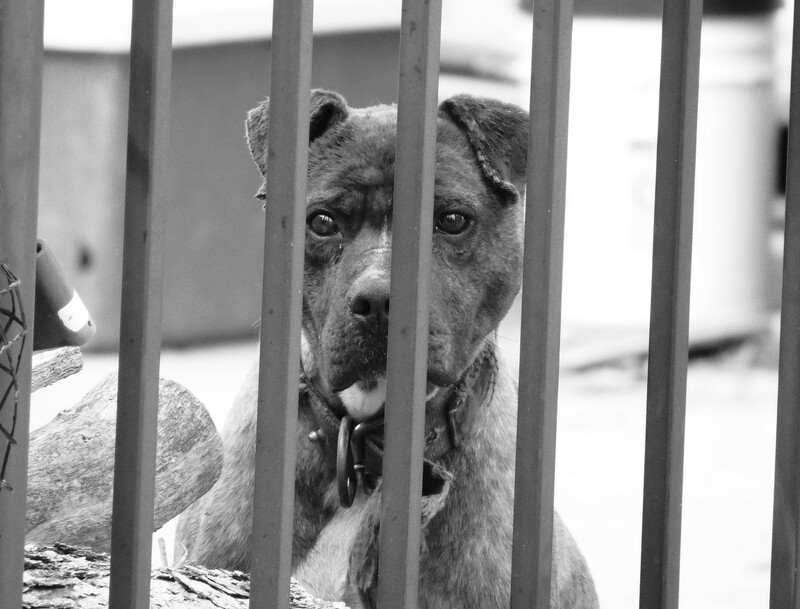 When we were leaving the storm shelter business, this dog was barking at us from next door. I switched on my high contrast black and white filter and captured this great shot. Say what you want about this breed, but he was quite photogenic. Every good viral sensation has some connection to cats. Grumpy Cat, Keyboard Cat, and numerous others. So here is my attempt. I shot this picture as I was waiting on the Sky News crew to join me for dinner. 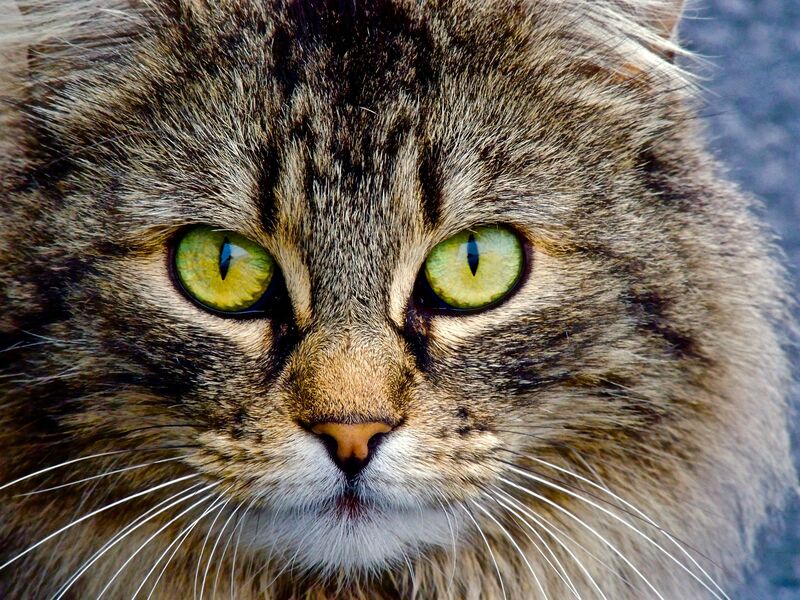 I heard mewing while siting in my truck and this strikingly ferocious feline was staring at me. Luckily this kitty stayed still long enough for me to snap this photo. For my fellow Oklahomans reading this article, please stay safe and take cover if the weather demands it. And for those not in the Oklahoma area, here is my Oklahoman's guide to passing time during a Tornado. Follow me on Twitter @TheNolanK and stay tuned for continuing tweets and updates from ground zero! The most exciting two days of my post graduation career began on Wednesday when I was hired on by SKY News to work as their local fixer. Based out of London, they needed an intelligence asset familiar with the area and highly adept and resourceful. After my interview with them early that first morning, they offered to retain my services. And thus my intriguing, emotional, and mind blowing journey into the ground zero area of Moore began. Yesterday, I wrote a PolicyMic piece that chronicled the destruction and devastation in Moore after the massive EF-5 tornado hit on Monday. On Thursday, my adventure continued, taking a much needed divergence from heart breaking to heart warming. We started our day at the Wayland Bonds Elementary School where they were hosting the students from the destroyed Briarwood Elementary School. We were the first news crew on site. Law enforcement did an impeccable job of maintaining security in Moore and keeping everything flowing on the roads. Here they were guarding the school. The police were also there to project an image of safety and to let the traumatized kids know everything would be all right. However, this was just a minor precursor in comparison to what they had waiting for them inside! We were the only news crew that was allowed into the Wayland Bonds Elementary School. I approached the school principal along with SKY News' correspondent Michelle Clifford. Over the past day, I had been training my British friends about the nuances of Southern culture and how they could help their reporting cause. I wore my hunting jacket, my Oklahoma City Thunder shirt, and my OU hat. Moore residents really opened up for us with me tagging along. Even with the day's ominous weather, kids and families began pouring into the school. On Monday the storm destroyed their school during the last few days of the term. So this special event was a way for them to collect belongings that had been recovered and reunite with their teachers. Here a mom escorted her young Cub Scout into the school. Teachers, students, and their families continued to file into the school through the afternoon. The environment was cheerful and warm, with the kids full of smiles because they were handed brand new stuffed animals as they headed home for the day. After we grabbed our initial shots inside the school, we retreated and filmed our live shots and interviews from the Church parking lot across the street. This was my SKY News crew today. As the activity at the school began to lull, we decided to venture out. Our camera man, Jake Britton, and I ventured out for a human interest story. Before we were able to reach our targets, we were met with torrential down pour and flash floods. Luckily Jake had rented a Jeep, so we were able to prevail onwards. What we found was the most heart warming scene of the day. The volunteers of Southgate Pentecostal Holiness Church were eager to help, immediately offering us cases of water and a free meal. Pastor Lynn Ice greeted us as soon as we exited our Jeep and reiterated the offer of a free meal. We of course were fine and told them we just wanted to grab some photos and possibly an interview. Everybody was so kind and we had to fight them off to make sure the food was given to the actual victims. Pastor Ice's mission was blunt: It did not matter who you are or what you believed, just that you had a stomach and wanted some food. As an atheist myself, I respected Pastor Ice's dedication to the victims and his passion to help others. Shortly after we arrived, an Oklahoma National Guard convoy rolled in and began offering help and interacting with the church volunteers. One of my favorite photos of the day was the one I snapped next. The picture was a perfect summary of the volunteer relief effort. Pastor Ice talked to the National Guardsman and was able to arrange for his grandson, Chapman McCully, to sit in the Humvee and have his picture taken. The little man was just a cute, energetic presence, smiling the entire time, but when he sat in the driver's seat, Chapman just lit up even more. Chapman was one of the most avid volunteers, repeatedly trying to load me up with gatorade and a bag of chips. The coolest thing about Chapman was his customized volunteer shirt. In permanent marker, he had sketched out the initials 'K.D.' on the back and had written the number 35 on his sleeves as an homage to Kevin Durant of the Oklahoma City Thunder. Jake and I quickly did a few more interviews and then we headed on our way. Our mission was now to go to Newcastle and see what damage was around the tornado's point of origin. On the drive out there, we were met with the stark memory that while recovery efforts were well under way, the damage was still rampant. As we continued along back country roads, we were met with road blocks. We had decided to take this back route to avoid the congestion on the main highway I-35. We went for the local secret of I-240 and while it was about 16 extra miles, it cut our travel time in half. We were making a good pace, but decided to pull over and have a look at these mangled power lines. These twisted and pulverized metal remains looked more like a piece of modern art than a row of power lines. I threw on my high contrast black and white filter and snapper away. From our vantage point, you could see miles of major power lines. It became quite clear how powerful and large the tornado was at just an earlier EF-3 stage. At this point in the corridor, the tornado had not yet evolved into the fearsome EF-5 that struck Moore. Regardless, the energy imparted on row after row of power lines was an immense kinetic force. Jake and I wrapped up this shoot and I went back into Moore to retrieve my truck. I still had one mission left. I mentioned it briefly at the end of the tornado article I wrote on Tuesday. Thanks to local Tulsa businessman Pete Womack and the generous donation from his company, I departed from Tulsa late Tuesday night with a truck bed full of water, powerade, and other much needed supplies. I had been offering water and refreshments to the officers working the road blocks, but they had largely cleared out or either had an abundance of bottled water already. As such, I too still had the better part of a truck bed full of water. So I knew what I had to do. I returned to the earlier location of Southgate Pentecostal Holiness Church and was again greeted with hugs and the offering of food. I dropped my tailgate and helped them move the rest of my supplies to their donation intake center. And again they tried to get me to take a burger and a couple of hot dogs for the road, but I reiterated that there are people who need it more than I. However, I later learned that while I was distracted talking to the Pastor, somebody snuck over to my truck and threw in a bag of chips for me. I said my goodbyes again and headed to the dinner with my SKY News companions. With that I completed my mission for the day. While stuck in traffic, something caught my eye. I grabbed my camera, stopped traffic, at least more so than it already was, and took this both heartwarming and heartbreaking picture. Someone had taken a piece of debris from their house and spray painted a concise but profound message. From the destruction of the tornado, again, hope and recovery is blossoming. As I drove closer to the path the tornado had taken, it looked like I was driving into a blast zone. The shear and utter devastation of the EF-5 tornado reduced the town of Moore to rubble. The aftermath of the severe weather looked like an air strike had hit these neighborhoods. The path of the tornado scarred the land of Moore and created an instant war zone. At numerous intersections, I encountered members of the Oklahoma National Guard. They asked me for my credentials and advised me on the best route for the news media staging area. The day before in Tulsa, I had loaded my pick-up truck with cases of water and powerade. When I would approach the National Guard road blocks and police officers, I would offer them the contents of my truck bed. The I-35 highway that bisects Moore was backed up for the entire day, at its peak, moving only at a snail's pace. Thanks to an outstanding law force presence, the knocked out traffic lights did not impede traffic. I got to know the officers around the news media staging area, and they would kindly allow me to take short cuts through the road blocks. SKY News' live point was right next to FOX New's staging area, which led to some interesting encounters. While talking to my British crew, I learned that SKY News is affiliated with FOX News. Oklahoma Governor Mary Fallin, a very conservative republican, was on site and there to survey the damage. After she did her interview with FOX News, she did a quick interview with us and I was able to get a picture with her. After the morning news block we had some free time, and I walked the streets of ground zero. The scenes were unfathomable. People's entire lives were shattered by the tornado and those broken pieces littered their yards. The contrast was quite stark. There would be a house that looked like it only suffered from wind damage and minor cosmetic issues, while across the street, the only thing left was a foundation with a heap of wood and twisted metal. The area hit near the highway was a shopping center. The Warren Moore was hit fairly bad, but the bowling alley only a few yards away was completely leveled. There were bowling balls in the wreckage and they also peppered the parking lot in a few places as well. The parking lot was littered with cars. If there was every any question about why you should leave your vehicle for a safer location during a tornado, the scene here was clear evidence. Yes, these vehicles are crash tested for their road worthy purposes, but during a tornado, they serve as nothing else but a steel coffin. In fact, the amount of cars present provided some interesting opportunities for some good photos. One of the greatest highlights of the day was seeing numerous media personalities and getting to meet with a few of them. I was part journalist part journalist fan-boy. On the Left side, we have Wolf Blitzer and John King from CNN and on the Right side, we have Jonathon Hunt and Shepard Smith‎ from FOX News. I probably watch FOX News more than FOX News viewers watch FOX News (I am actually watching it right now as I write this too). So being able to see these guys up close and in person was quite the thrill. I do have to say that the FOX News crew was laid back and really approachable. I got to talk with Jonathon and Shep over the course of the afternoon. Lastly, this is my favorite picture I took just at day break. In the photo you can see the numerous satellite vans, a police car, and to the left, a storm tracker truck. It is quite poetic and illustrative of the larger scene on Wednesday. Much like the new dawn I captured in my photo, the city of Moore will persevere and continue in to another day. the recovery efforts I saw were inspiring. Trucks were driving around town with refreshments in their beds and would offer water and sports drinks to the cops working vigilantly. After a tough day's work, I went home and passed out on my bed, sleeping for about a solid 12 hours. I am out there again today and will get new photos if and when they open up new areas. Phone coverage in the area has been spotty, but follow me on Twitter @TheNolanK - I will try to live tweet about my second day. Additionally, check out my earlier blog entry 'Moore Tornado: What Happened? And How the Sooner State Plans to Move Forward' to get the full background on the Moore tornado and learn how you can help with the relief efforts. Moore is the seventh largest city in Oklahoma and is nestled between Oklahoma City and Norman along highway 35 - and is the home of Toby Keith. Heartbreak and devastation is all that remains of the severe weather that struck the town of Moore, Oklahoma. On Monday afternoon, Moore was hit by at least an EF-4 tornado that was estimated at over a mile wide. The National Weather Service in Norman has yet to officially classify the tornado and the Fujita scale rank is forthcoming. However, meteorologists have speculated that the extent of the damage and the data from the storm suggest that the tornado could easily be an EF-5+. The Oklahoma Medical Examiner's Office has confirmed that the current death toll stands at over 91 dead - 20 of them children, from the Moore Elementary School tragedy. An estimated 233 people have been hospitalized in the area, but as search and rescue operations continued through the night and into the morning, those official numbers are likely to increase. Reports indicate that over 38,000 residents of Moore are without power and authorities are advising vigilance, because more wicked and severe weather is expected later in the week. The fortitude of Moore was on display Monday night as the recovery efforts went into action even before the all-clear safety call was given. Any description of Moore or Norman, where I live, is typical of the small-town theme. Even our bigger cities like Oklahoma City and Tulsa still show signs of the classic southern hospitality. In a way, our the entirety of Oklahoma is like a small-town state. There will be an immense outpouring of love and support and no shortage of people yearning to help. This is just a testament to the resolve of this resilient city and the humanity of our state. In 1999 the city of Moore was brought to its knees by the record setting force of an EF-4 tornado. Later in 2003 and more recently in 2010, Moore was also the stage for severe weather. In fact, as illustrated by the National Weather Service in Norman, Oklahoma, the preliminary data shows that the 1999 and 2013 tornadoes followed roughly the same route through Moore. The background sound of ferocious winds and the ominous hum of the tornado siren are a frequent sound in much of Oklahoma. While many systems are tested on a weekly basis under fair weather conditions, nothing will make your hair stand on edge and your heart race faster than the sound of a tornado siren in Oklahoma. A tornado is a powerful entity and the violent kinetic expression of atmospheric potential. There is no real secret to what a tornado is, but in the relatively new science of meteorology, the process of tornadogenesis is still the subject of mystery. In the case of Moore, here is the unbelievable footage of the birth of the barometric beast. This amateur footage was captured just south of Moore in Newcastle. The cyclone and rotating column are the very same ones that scarred much of Moore and pummeled central Oklahoma through the afternoon. The video shows a massive force of nature. Not only is there a visible twister, but the entire atmospheric cluster is also rotating as well. This fairly rare phenomenon is what gave the tornado its unbridled power and fueled its eventual growth to over a mile in diameter. As a result of the swollen system, the overall speed of the system was greatly reduced causing the tornado to hover over an area much longer than a typical tornadic event. The pictures emerging from Moore depict the leveling of entire neighborhoods or well-built strong homes. 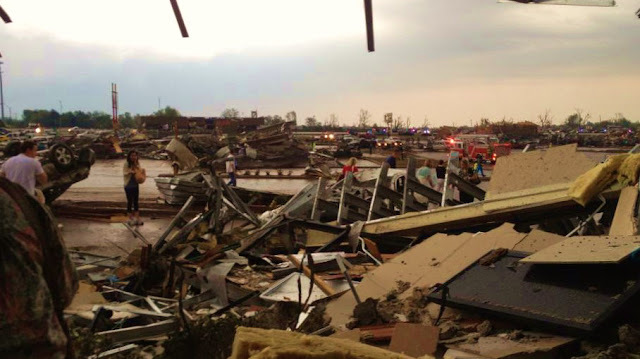 The prolonged and sustained brutalization by the tornado is what wiped entire neighborhoods off the face of the earth. In some cases, debris removal is actually not a major factor because the tornado simply took the rubble with it. There are reports that as far as Branson, Missouri, they are finding debris that originated in Moore, which is some 250+ miles away. 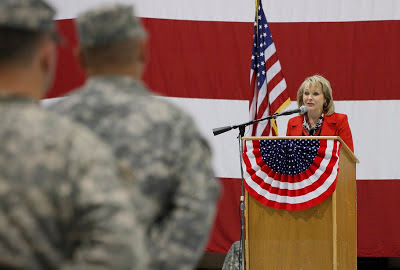 State and federal authorities were quick to action with Oklahoma Governor Mary Fallin receiving a phone call from President Barack Obama where he gave her his personal cell phone number in case she needed to get a hold of him at any time. The Department of Defense also put out a press release declaring that "200 members of the Oklahoma National Guard called up on state active duty to assist with search/rescue/security." Additionally, Mary Fallin also called in extra support from the Oklahoma State Troopers and the FEMA assets already in Oklahoma surveying the previous day's damage in Shawnee. As this is the worst Oklahoma has been hit in quite some time, President Barack Obama also declared that our state is a major disaster area. Social media has also played an important role in the immediate recovery. A Facebook page called 'Moore Tornado Lost and Found' has been set up with the goal of reuniting people with their missing possessions and their missing loved ones. Volunteering efforts are also being bolstered by quick organization on Facebook. The Home Depot in Moore has been hosting able bodied volunteers and residents of Moore who needed help with clean up were just taking people home with them. This crowd-sourced effort was embraced by Home Depot and they provided snacks and refreshments to the volunteers, also indicating that they would continue this endeavor into Tuesday. On Twitter, keywords like #Oklahoma, #Tornado, and #PrayforOklahoma were the top trending tags in the U.S. and even briefly worldwide. I myself plan to join the volunteer efforts, meeting up with some of my fellow University of Oklahoma classmates who have yet to leave for the summer to assist the town of Moore in any way we can. As a way to cap off the volunteering efforts, a good friend of mine and I are going to donate blood to the Oklahoma Blood Institute to help with their currently high demand for blood in the wake of the tornadoes. Fortunately during the initial onslaught, I was safely at my parents' place in Tulsa. Undeterred by the impending weather, I took a break from live-tweeting the tornado outbreak, determined to make my dinner! But as I mentioned before, as a native Oklahoman and a life-long resident, I am no stranger to severe weather. While often times I clash with this state when it comes to politics, one thing is certain, my Oklahoman DNA runs deep. The Red Cross - The best way to assist families is to make a donation to www.redcross.org/okc or www.redcross.org or texting REDCROSS to 90999 to make a $10 donation. For my fellow Oklahomans reading this article, please stay safe and take cover if the weather demands it. And for those not in the Oklahoma area, here is my Oklahoman's guide to passing time during a Tornado. Follow me on twitter @TheNolanK and stay tuned for my photo-essay of the damage in Moore I will be assembling during my volunteer work! New footage has emerged from Syria, apparently showing the effects of an Israeli air strike that was conducted in the early hours of Sunday May 5th. This marks the second Israeli air strike in Syria in almost as many days, and is the third overall since the start of the Syrian Uprising. While any perceived Israeli aggression in the region would usually entail major backlash from Arab countries, such has not been the case during the ongoing Syrian crisis. Although, Egypt and the Arab League have condemned this latest venture. Furthermore, these increased strikes would explain why Israel has repeatedly violated Lebanese airspace over the past few days. All indications suggest that Hezbollah in Lebanon is not seeking any of Assad's chemical or biological weapons. However, Reuters is reporting that Hezbollah is actively seeking conventional weapons systems. Here is where the recent air strikes enter the frame. 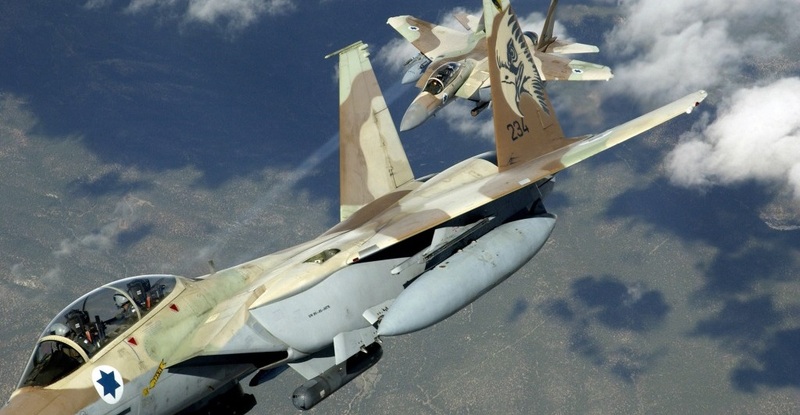 The Israeli air strike targeted a shipment bound for Hezbollah, in the outskirts of Damascus. An American intelligence official told the New York Times that the "shipment consisted of Iranian-made Fateh-110s." An upgraded replacement for the aging supply of Soviet made Scuds in the Middle east, the Fateh-110's are a formidable new ground-to-ground missile weapons system. Intelligence reports suggest that if armed with the Fateh-110's, Hezbollah would be able to strike practically anywhere in Israel from Southern Lebanon. In light of the recent chemical weapons developments, these air strikes by Israel on Syrian regime assets are currently the best, and really only, possible option in lieu of a direct intervention from the West. In my March interview with Dr. Joshua Landis, he speculated that "the [U.S.] military is also investigating whether Chem Weapons can be destroyed by bombing alone." Interestingly, since Israel deems the threat of the Fateh-110's to be deserving of a direct strike, where does that leave the Syrian people? Assad has already demonstrated his readiness to use Scud missiles in civilian areas. Clearly, steps should be taken to prevent Assad from using the feared Fateh-110 on his own people. Here's another angle of the massive fireball in Damascus. Iran has already condemned Israel's actions and "urged countries in the region to stand against the assault."